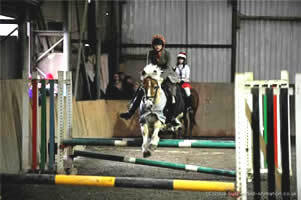 "Heazle horse riding" take a look let us know what you think, and would like to see. Following the best veterinary advice, we will be open for shows and hire of facilities again from Monday 18th February with conditions as set out below. At the moment no horse who has a correct record of injections and the last was within six months or a horse without a record of injections but has received an injection that was 7 days ago but not more than six weeks ago has contracted the flu. We are taking this as our condition of entry to Heazle, we will be asking you to bring your passports with you and to show them at the secretarys office before unloading. This applies to shows and arena hire. All horses at Heazle have received a booster jab and comply to the conditions above. Below setting out for the fun ride last weekend Sue - Harry Potter, Anais - Luna, and Elle - Dolly. The service Master cleaning Championship was won by Samantha Drake riding KJ'S Star, she was also the runner up with Total Eclipse. Very many thanks to our Sponsors who make these Championships posible. 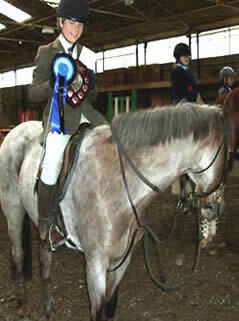 The Winter Championship were awarded at the show on April 3rd. The 10 years and under "Fuller Trophy" winner and runner up was Kaitlin Trott riding Showman and Rhoda. . . . The Brimley Hall pairs handicap was won by sisters Frankie and Emily Hayes, runners up were Kaitlin and Megan Trott. . . . The Formula Cars newcomers was won by Frankie Hayes on Pandora and runner up was Kaitlin Trott on Showman. . . . The Balfour Red Baron trophy 70cms was won by Frankie Hayes on Comet. . . . the 75 cms open Service Master Cleaning class winner was Chloe Howard riding Aircraft. . . . Dale Maggs Farrier sponsors the 85cm open the winner was Frankie Hayes riding Comet. . . . Fivehead Service Station sponsor the 95cm open this year it was won by Emily Hayes on Dazzle. . . . Caroline Cook local artist award a painting head and neck of your pony as a prize for the winner of the most classes over the season this years winner was Kaitlin Trott riding Showman. . . . Kaitlin also won the most improved rider over the season. 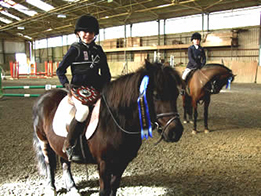 We have added an extra ring to the summer show format, it will be indoors and consists of two mini jumping classes, they are designed expecially for riders, horses, ponies, looking for small confidence giving courses,competitors may be led, or helped in the ring, the first class is set at 40cms no spreads the second at 50cms, you cannot as a combination jump in both jumping rings, but you may compete in the showing ring that starts an hour later, full details on the show page. The Hayes family win both summer championships. Yesterday 14th Sept saw our last outdoor Show Jumping for the year, The summer championships were awarded, The Novice "Service master Cleaning" trophy went to Frankie Hayes riding Koala she also was second and third with Comet and Bonnie. 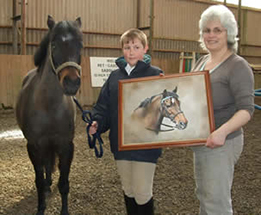 The Open "Caroline Cook, Eclipse Studio" Award was shared among the Hayes family the winner was Charlotte Hayes riding Irish Joker second was Emily Hayes and Third was Frankie Hayes. 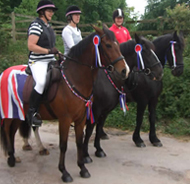 As with all the shows this summer some of the classes were light on entries while others were very competitive, well done the other winners on the day, Lucinda Hayes - Bonnie, Sophie Ward - Cherry, Jess Prophet - Cooper, Elese Ankers - My Sweetheart. Oli Cossey still buoyed from his individual win at the Riding Club championships last weekend, won the 2ft 6in - 2ft 9in - and the 3ft 3in open class with Demdare Pomagne and Elsie B. The cost of the course is £100 payable in advance or on the first night, the sessions will start at 6.15pm and have no set finish time. The couurse will have a max of 6 riders, if more than 6 apply the course will be graded, and if numbers warrant a second course will be run on a Friday night in the same weeks. Fun Days - The next Fun Days will be Half term summer term. Jenny, Judy and Simon from Team Heazle are off to the Hemyock Jubilee 100 hooves Ride. Dates of all shows are on the show page. For a schedule please go to the show page and clink on link for more details under the show date. 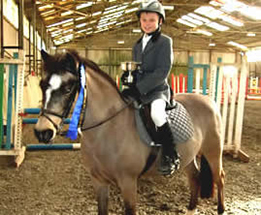 We have introduced a lease arrangement for riders who want to have use of a horse or pony for a short period, (minimum period is 2 months,) or feel an extended trial would be useful prior to purchase, the element of the lease fee allowed for the horse will be refunded against purchase price, the element of the lease fee that applies the horses keep is non refundable. 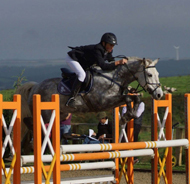 Horses must be kept at Heazle for the duration of the lease, and the scheme can only be used for approved owners and riders, this approval is solely at the discretion of Heazle management. 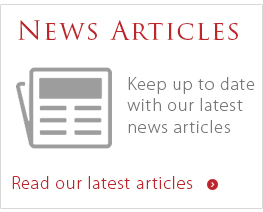 For more in depth terms and conditions please ring and speak to Chris, 07854576211, futher details will not be sent by E-Mail, but can be obtained directly from Heazle. 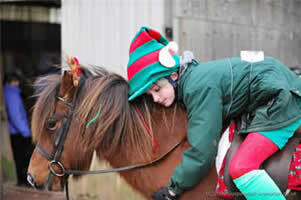 Is it too cold or wet to ride and school your horse or pony? We have room at present for a couple of liveries. 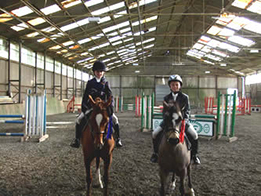 See the show page for the Summer show dates and championship results. Compete & Eat ltd now produce a full range of Rosettes for all shows and occasions. Jane would be happy to discuss your requirements 01823 680280. Q. HOW ARE THE CHAMPIONSHIPS SCORED? All the above score 6 points for a win down to 1 point for 6th, the points are accumulative, the number of scoring rounds will be half the number of shows held, in case of equal point the win countback system will apply. Balfour Red Baron Memorial Trophy 2'3" / 2'6" / 2'9"
Highest class score on any show day being your total, if you win two classes on any show day you receive a 2 point bonus, eg winning 2 classes 3points for highest class score plus 2 point bonus score 5 points. All shows to score, for each win a 2 second penalty, for 2nd a 1 second penalty, will be allocated to both members of the pair, these penalties will be accumulative on an individual basis, at the start of each pairs class your handicap will be calculated, the pair with the highest penalty will run last, your penalty seconds will accumulate throughout the season, however the highest number penalties any competitor will have to carry is 7 seconds, at the end of the season the winners will be the 2 competitors will the highest number of penalty seconds. you do not have to ride in the same pairing over the season, and the 2 winners may never have been together as a pair. 1 point will be gained for a win in any class at each show, half the number of shows held will be the number of your scores to count. Entry conditions as per schedule, at the final show all winners from this season will be eligible to compete in the final class of the season the winner of this class will be the Newcomer of the year. W/C 3 (2'9" Hold your Horses),&( 3'.0" Fivehead Service Station). W/C 4 (2'6" Service Master Cleaning,)& ( All Classes, Eclipse Studio, Caroline Cook). In the case of equal points. 1 A count back will operate the winner will be the one with the highest number of top scores and so on. 3 In the unlikely event that points are still equal them the award will be shared or if not possible (eclipse studio) on the toss of a coin. 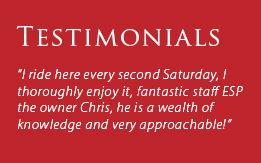 If you require any clarification on the above please ask Chris at any show.